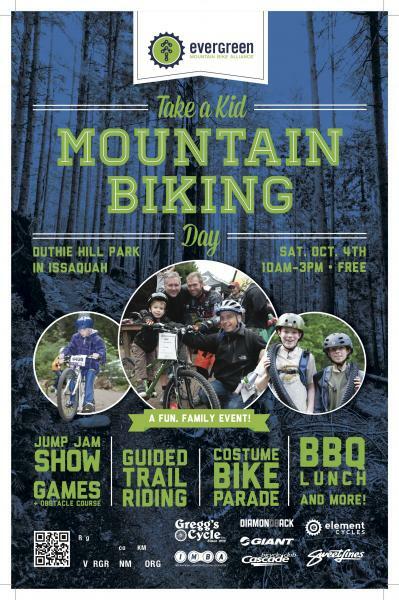 Take a Kid Mountain Biking Day is Saturday October 4th 2014! 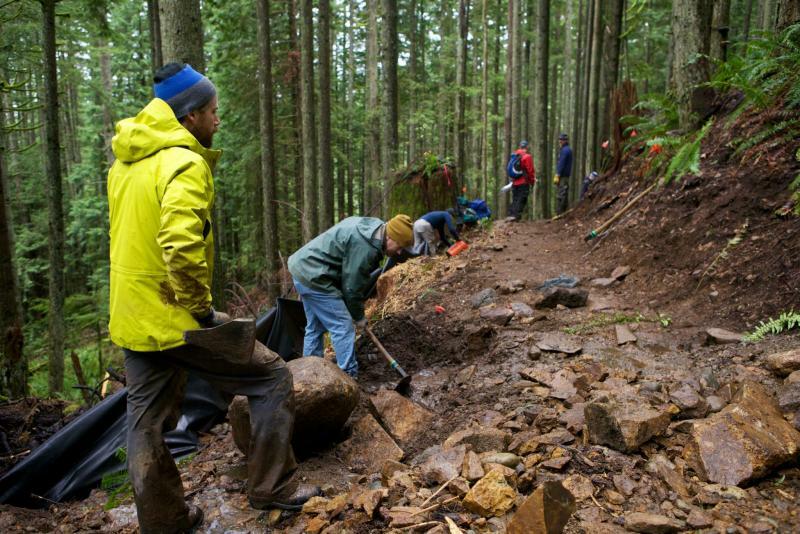 Evergreen Mountain Bike Alliance is excited to announce a new trail development project in Tiger Mountain State Forest. Washington State Department of Natural Resources has been awarded grant funding, and entered into an agreement with Evergreen to construct a new trail that will run from near East Tiger Summit and connect to the upper trailhead near Hwy 18. Almost 2 miles long, the proposed trail will provide a more challenging descending route than the existing options in the forest. Its addition will help develop a trail network that provides a quality riding experience for a broader range of rider skill and fitness levels. This further extends the partnership between DNR and the mountain biking community. The result of this partnership has expanded trail riding from 7 miles only three years ago to almost 12 miles of sustainable and fun trails today. The new trail has been designed and work will begin immediately. But we need your help to meet the mountain biking community’s commitment to Tiger Mountain and make this new trail a reality. Watch the calendar for work parties and sign up to volunteer. This is an opportunity to build trail – by bikers, for bikers. 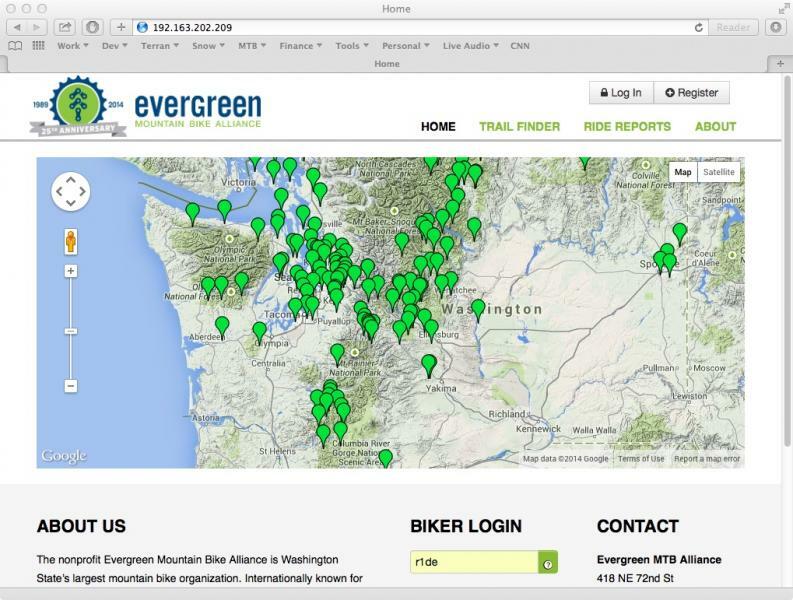 The New Evergreen Trail Guide is Live! 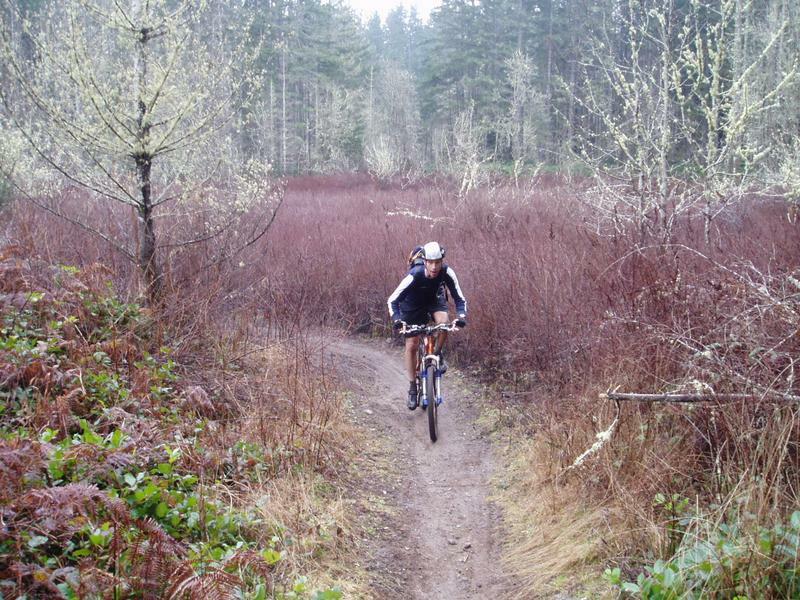 Our new Trail Guide is now your definitive source for information about Washington singletrack. The Trail Guide replaces our venerable trail wiki with… New trails, more GPS tracks, and embedded video Mobile-friendly, Smartphone functionality Evergreen recommended “Premium” trails are separately searchable GeoPDF maps for trails as they become available “Trail Finder” view showing thumbnail trail images and key stats Update the Trail Guide and win cool prizes! The Trail Guide relies on user-generated content. So we need your help updating our trails listings and info. Post your best new trails or polished trip reports in August and you could win sweet shwag in our drawing at the end of the month. FYI, if you had an account on the wiki, you do need to set up a new account on the Trail Guide. 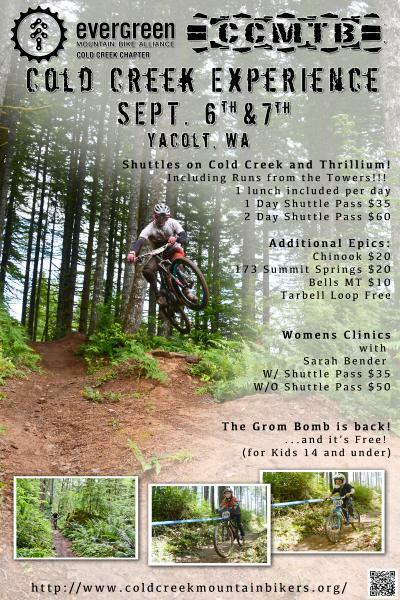 Join the Cold Creek Experience in Yacolt September 6&7! A weekend of epic rides, women’s ride clinics, and family fun is waiting for you at the 3rd annual Cold Creek Experience! You asked and Cold Creek delivered with an even bigger festival this year! What’s better than a shuttled ride down beautiful Yacolt trails to a cool swimming hole? How about new family events, a chance to test your skills at a women’s clinic, and post-ride food and drinks with your fellow riders! So join us for an all-ages-and-abilities weekend of fun! Shuttles sell out every year, so be sure to get yours now—click below for more registration information and we’ll see you there!